Steve Paxton is one of the most radical and influential American artistic innovators alive. 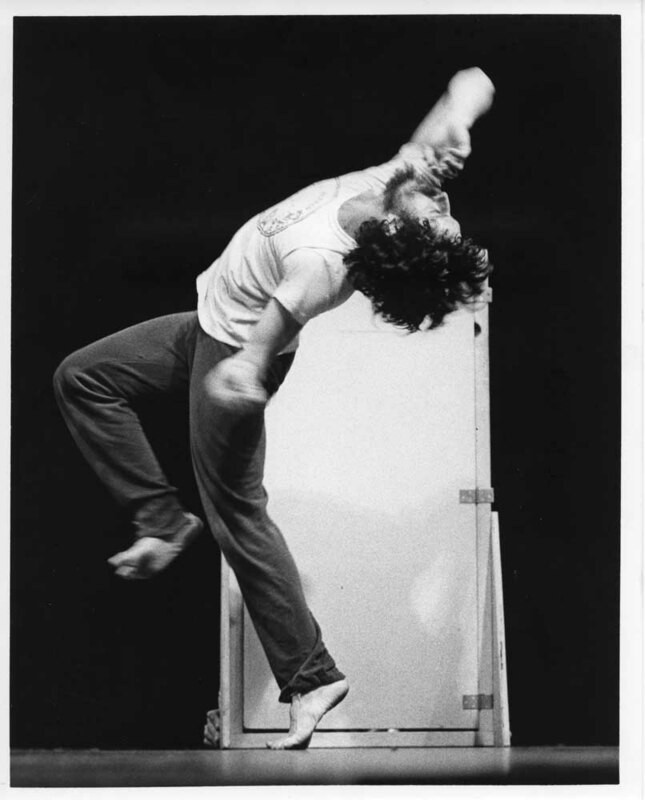 His impact on the field of dance, stretching more than 50 years, has been felt around the world: as a principle dancer for Merce Cunningham in the 60s, a founding member of the legendary Judson Dance Theater (’62–65) and of the Grand Union collective (1970-76), and as the inventor of Contact Improvisation (in 1972), a technique now practiced and taught globally. His influence on the current generation of dance and performance artists has been profound particularly in New York and across Europe. 2014 marks 50 years since Steve Paxton’s first visit to the Walker Art Center. Over the course of the past five decades (and beyond), his influence on and contribution to the postmodern and contemporary dance movements as a dancer, choreographer, and movement innovator runs undeniably deep. 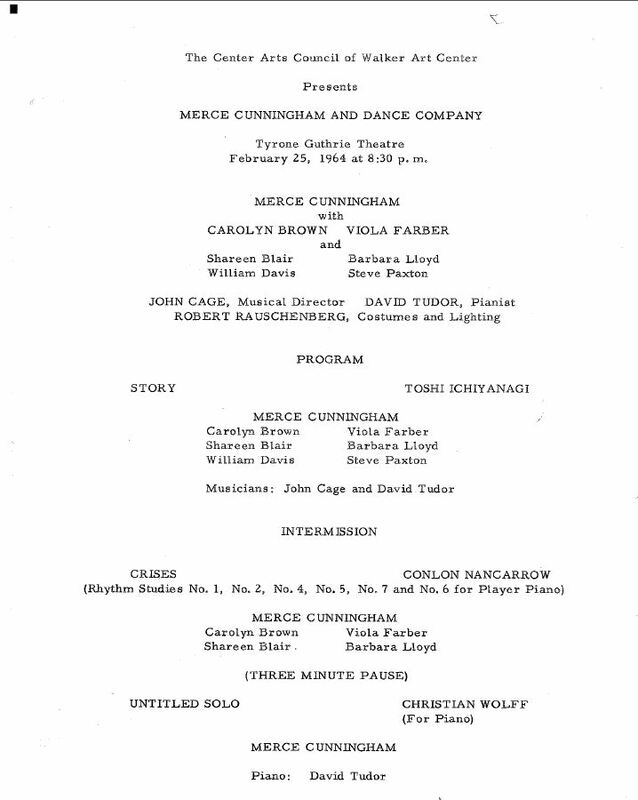 Paxton was part of José Limón’s company in 1960, and from 1961 to 1964, he danced for Merce Cunningham. His involvement in both Grand Union and Judson established him as a major figurehead in the dance world. These groups were arguably the most critical influences on the development of postmodern and contemporary dance in the latter half of the twentieth century, relentlessly shattering and reshaping expectations of dance creation and performance. That impact remains prevalent today. Through residencies and visits to universities with Grand Union, Paxton began developing a technique that emphasized uncensored flow with another body where, as he wrote in an article in 1975, “[e]ach party of the duet freely improvises with an aim to working along the easiest pathways available to their mutually moving masses. These pathways are best perceived when the muscular tone is lightly stretched to extend the limbs, although not to a degree that obscures the sensations of momentum and inertia. 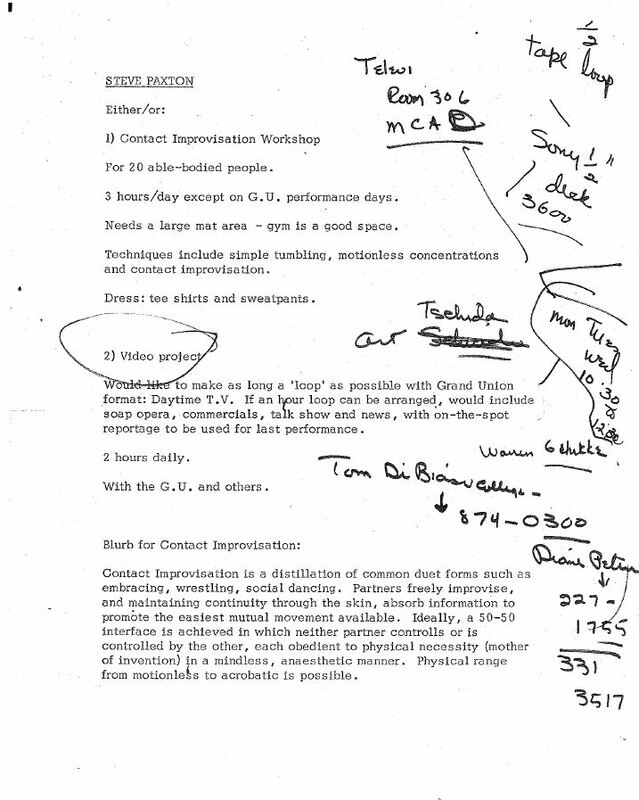 Within this flexible framework, the shape, speed, orientation, and personal details of the relationship are left to the dancers who, however, hold to the ideal of active, reflexive, harmonic, spontaneous, mutual forms.”1 He named this technique Contact Improvisation and introduced it to New York in 1972. Since the 1980s, Paxton has rarely performed, devoting his time to writing, teaching,and leading workshops. For this reason, his visit and performances for Composing Forward: The Art of Steve Paxton at the Walker over the next two weeks are a rare treat. 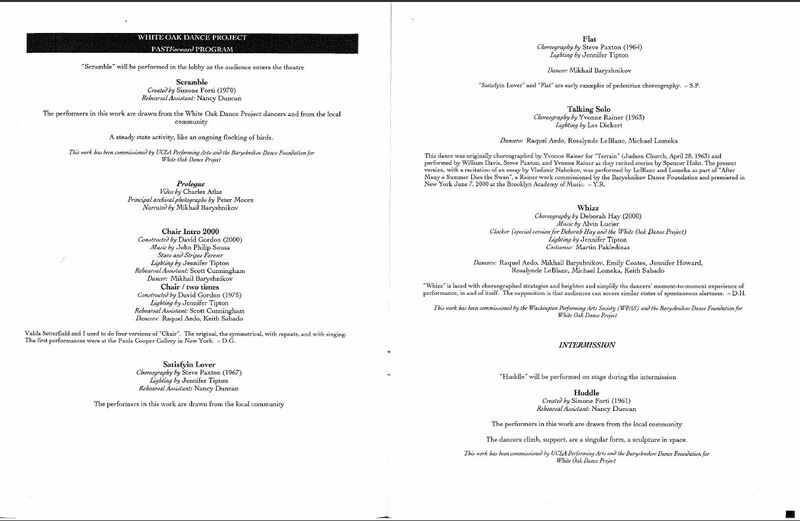 To commemorate the momentous event of his return (after an absence of over sixteen years), I thought I’d share with you some Paxton-related material from the Walker’s archives (click on any image to get a closer look). 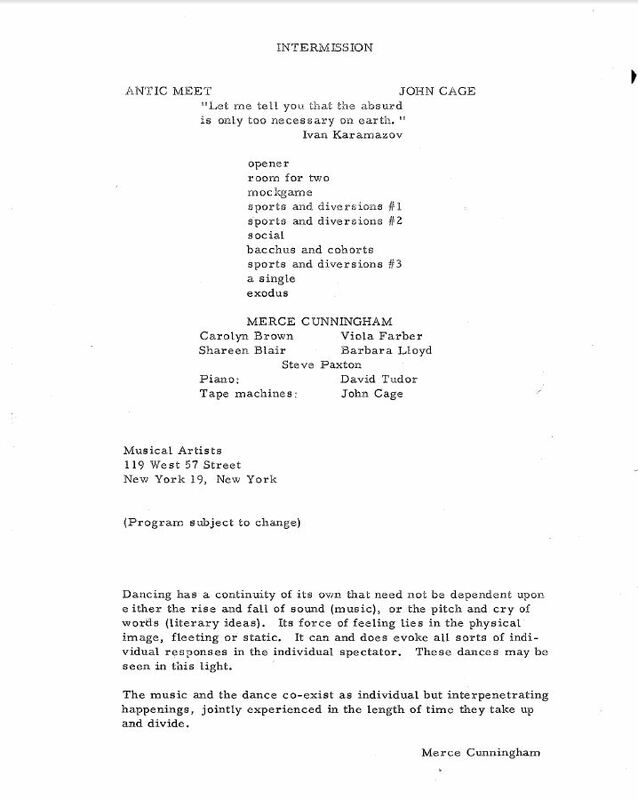 On July 6th, 1962, Robert Dunn’s dance composition class (which included Yvonne Rainer and Paxton) performed a concert – it was out of this concert that Judson Dance Theater was born. Judson, which derived its name from the church in New York in which the collective performed, continued to produce work over the next two years that challenged the established modern dance tradition of the time. Plans were in place for Judson to complete a residency at the Walker in 1965 but the group dissolved in 1964, before the residency could happen. The Grand Union collective existed and produced work from 1970 to 1976 and was comprised of experimental and improvisational dance artists. 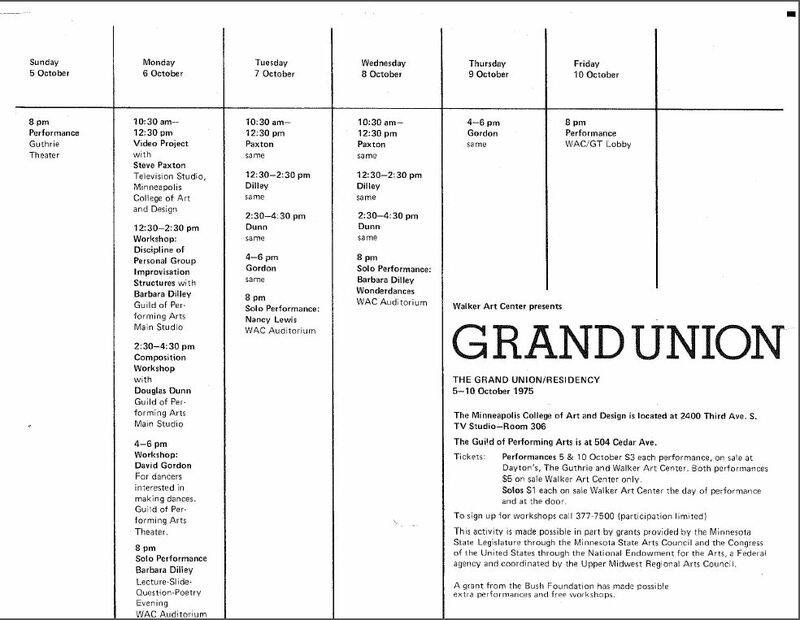 Grand Union evolved in part from Yvonne Rainer’s work Continuous Project-Altered Daily and included many of the dancers and performers who had worked together in the Judson days. Grand Union visited the Walker for a residency in 1971, but Paxton was unable to join because of prior commitments. 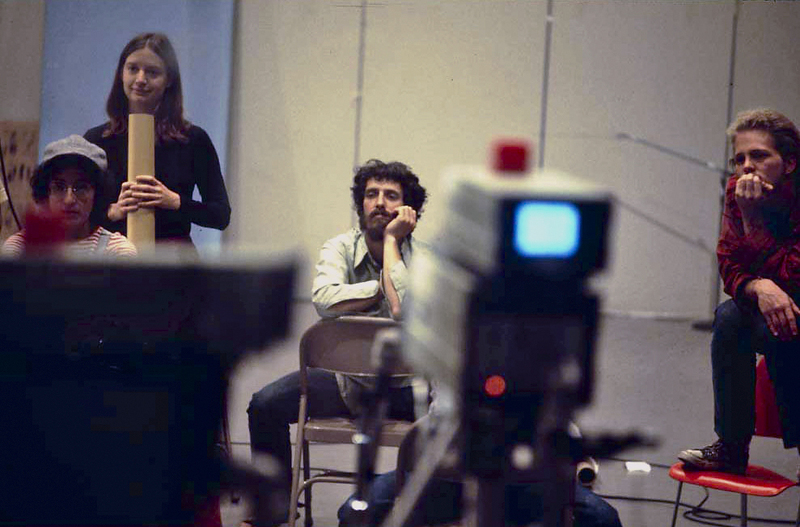 However, from October 5-10, 1975, Grand Union returned with Paxton to complete another residency which included workshops, solo performances, and group performances at the Guthrie Theater and in the museum lobby. In addition to performances, Paxton led a video workshop with students from Minneapolis College of Art and Design. 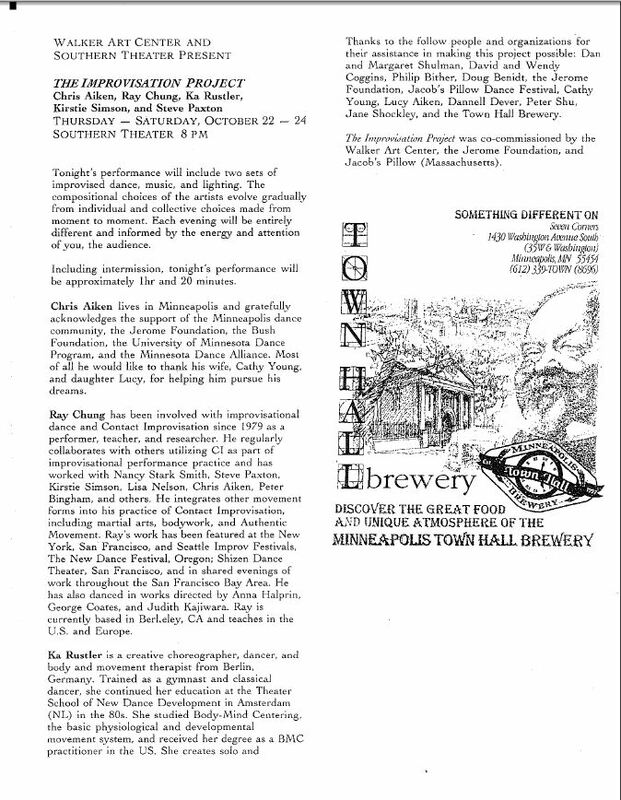 In October 1998, then-local Contact Improvisation artist Chris Aiken was joined by other artists in the field: Kirstie Simson (London/Boston), Ka Rustler (Berlin), and Ray Chung (Berkeley, California) for a series of performances at the Southern. This was Paxton’s last visit to the Walker, before his return this week. 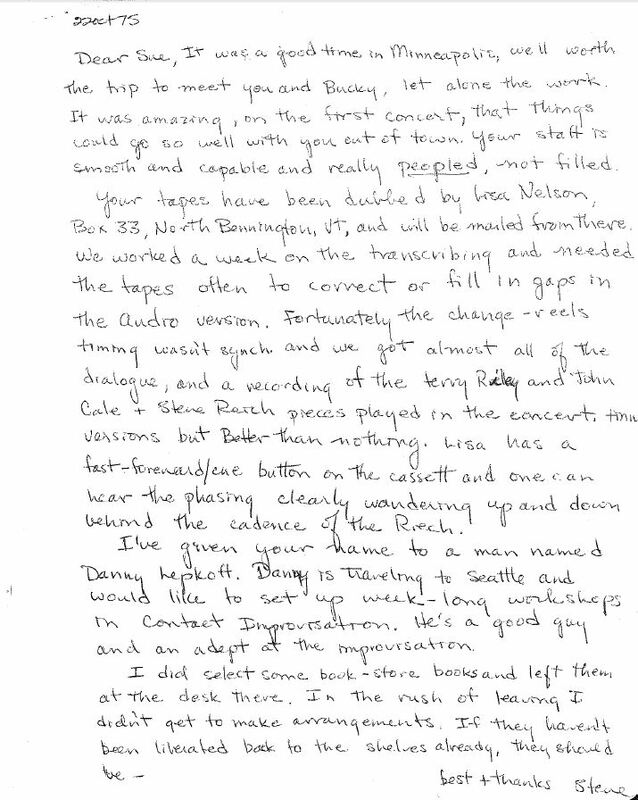 Steve Paxton in The Improvisation Project, Southern Theater, October 24, 1998. Courtesy Walker Art Center Archives. 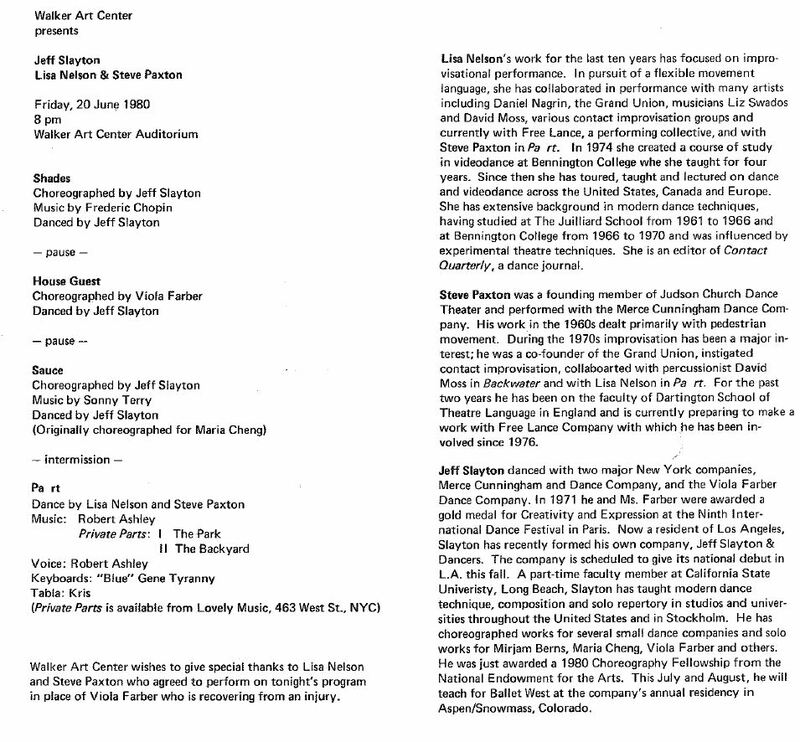 On September 27th, 2001, Paxton’s pieces Satisfyin Lover and Flat were performed as part of PASTforward, a project directed by Mikhail Baryshnikov and written by David Gordon that celebrated the work of some of the Judson Theater artists of the 1960s. 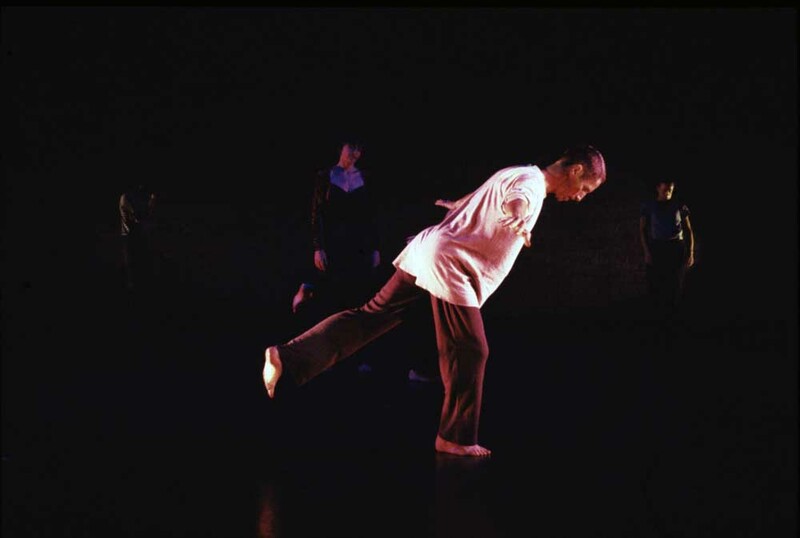 Paxton didn’t make an appearance for this performance but Satisfyin Lover was performed by local dancers, and Flat was performed by Baryshnikov himself, making the project “counter-intuitive, even joyously subversive”, as Performing Arts Curator Philip Bither described it in the program notes. Composing Forward: The Art of Steve Paxton, a mini-festival celebrating the work of Paxton, begins Thursday, November 13, 2014 with Talking Dance with Steve Paxton, which will also include a performance of his piece Smiling (1967) by Kristin Van Loon and Lisa Nelson. Bound (1982) will be performed by Jurij Konjar on Friday, November 14, 2014 and Night Stand (2004) will be performed by Paxton and Nelson on Friday and Saturday, November 21 and 22, 2014. In addition, Paxton and Nelson will each teach a workshop at the Walker on Sunday, November 16, 2014. 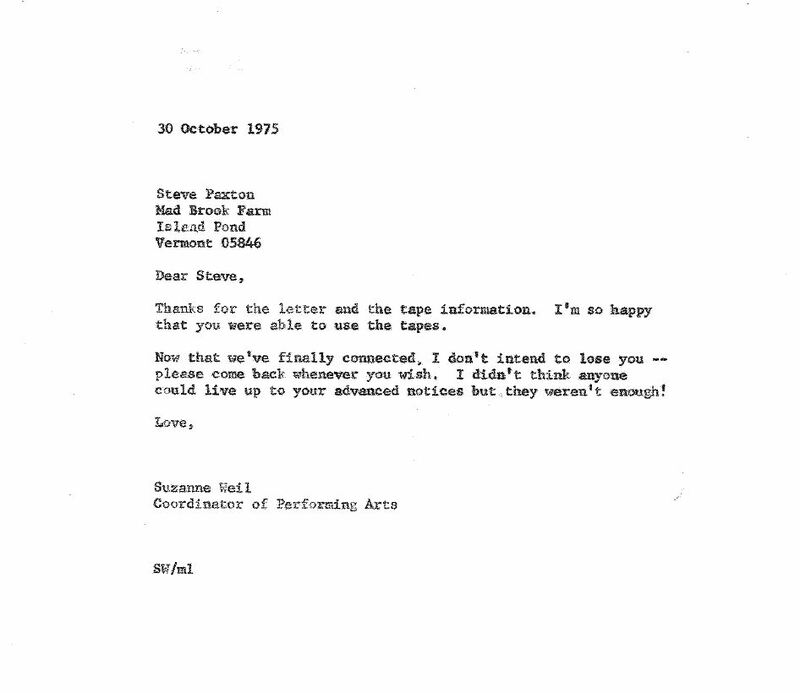 1Paxton, Steve. “Contact Improvisation.” The Drama Review 19.1 (1975): 40-42. Print.